We’ve enjoyed camping at Cultus Lake twice this year (for Mother’s Day and Father’s Day, ironically!). This provincial park about an hour out of Vancouver offers a variety of things to do, including some great hikes. 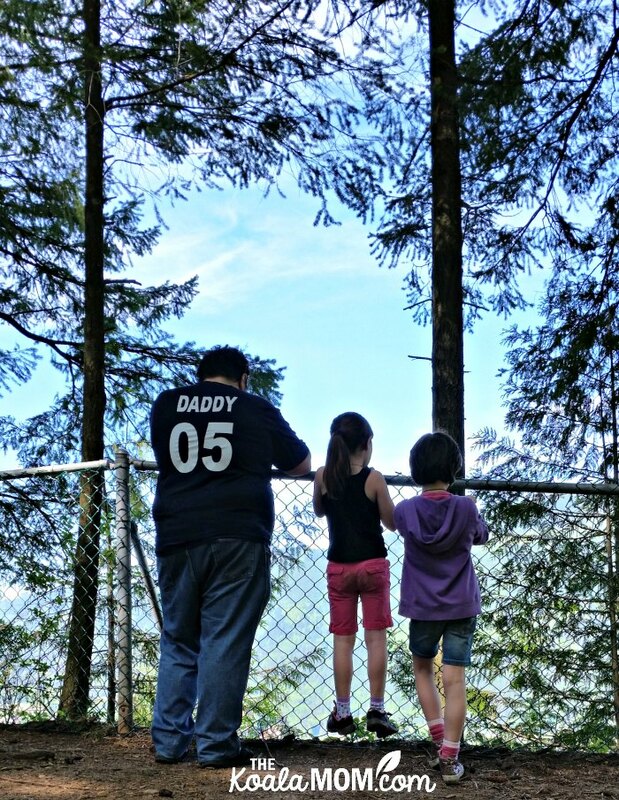 Whether you’re camping at Cultus Lake or just driving up from Vancouver for the day, your family will have fun on the Teapot Hill Trail. This trail starts not too far from the Delta Grove Campground in Cultus Lake Provincial Park. There is a small parking lot at the trail head, which I recommend using even if you are camping because the road is narrow and busy. The outhouse is located a few hundred feet up the trail. The girls didn’t want to stop there on the way up, but we ended up dashing back down the trail to get there at the end of our hike. The Teapot Hill Trail is quite popular and busy. We passed many people going up and down, as we were hiking at two-year-old Pearl’s pace. And she wasn’t going very fast, as she saw me get out the baby carrier for Joey and got mad that she wasn’t getting the ride. My husband and I took turns giving her rides and also finding ways to encourage her to walk (“Catch your sister!” “Go tickle Daddy!”). 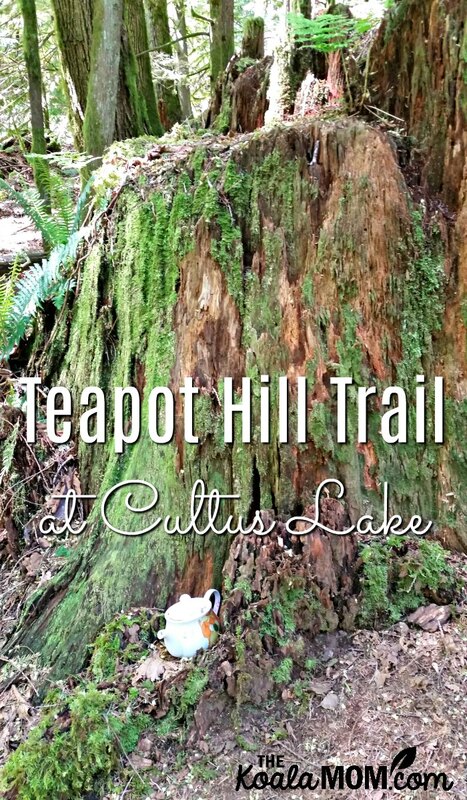 The Teapot Hill Trail is a 5 km return trail that winds up onto a ridge overlooking Cultus Lake. The first half of the trail is a wide road; then the Teapot Hill trail veers off to the right and gets a bit narrower. It’s well-marked all the way along. And once you’ve passed the Y onto the Teapot Hill Trail, there are tea pots, tea cups and mugs left along the trail. The girls had a blast spotting these and counting them as we went along. The Teapot Hill lookout is surrounded by a chain link fence (for which this mom was grateful!). The view was a little disappointing; we saw one end of Cultus Lake and the town, but it wasn’t quite as scenic as I expected for the distance we’d climbed. We had snacks there, changed diapers, attempted a family selfie, and then went back down again. The Teapot Hill Trail took us about three hours—two hours going up and one coming down again. After your hike, take a picnic to the day use area and cool off in the lake, or grab ice cream at one of the roadside stands in the park. For a map and more details about this hike, check out the Vancouver Trails website. 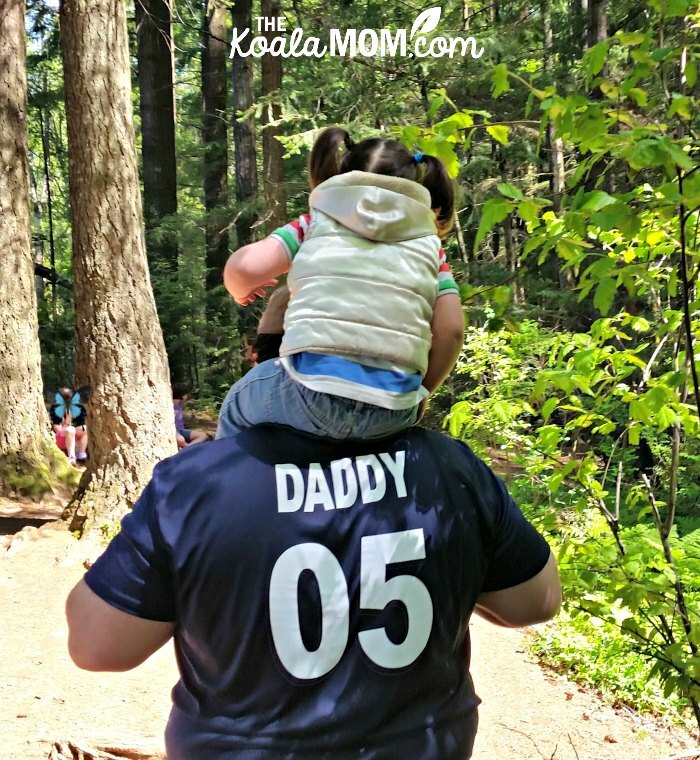 Does your family enjoy hiking? 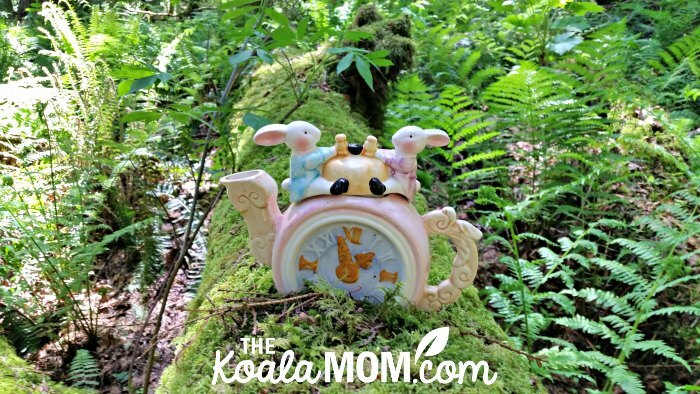 Have you done the Teapot Hill Trail?